Understand and use the domWrite in you application. 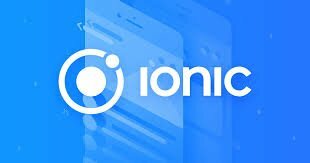 In this tutorial, i would be trying to help you understand what causes a lag in ionic applications when you try anything involving an animated effect. In Ionic 3, a new function was introduced which is called domWrite. When modifying components live in ionic(In other terms, making animations). You are changing the root elements within your webview and on a device which does not provide much graphic memory for the webview of an application, it is very common to see a laggy effect in your application. In the last expandable header bar i build, i was dissatisfied with the output on my device because it was extremely laggy and was making my GUI very scrappy. I did some research and found out the reasons for this and found ways to reduce, if not eliminate the lag depending on what device you are running your application on. A hybrid application will lag whenever you try to recolor(change the color or opacity) of an element and will lag even more when you try to reflow(rescale a component). Ionic found a partial remedy to this which was the domWrite which optimizes how this reflow or recoloring happens and makes the gui flow smoothly. Regardless of this, no matter how much it tries, this will still lag on devices with little rams and processing speed that dont give a lot of graphic memory to the webview in applications. This is the code for my laggy header bar. this.newHeaderHeight = this.headerHeight - ev.scrollTop;//Whenever there is a scroll event, the header height changes. Scroll events give of responses on the slightest motion within the scroll area. Meaning that a simple flick may give up to 10 or more scroll event. So talk more of a scroll event that goes in opposite areas rapidly. For a browser on a laptop. This would be smooth because the ram can take way more and even on devices with rams more than 4gigg and nice processors we will not see a lag but what of other devices. The browser simply cant compute this fast enough and render the template in enough time. As much as possible create less logic involving your view. In other words look for landmarks, look for events that are triggered at certain points and use if block of code to change the view whenever these events are triggered. Below is a fix to this header bar. This would create a way better animated effect without any lag. If you're lost on how i created this animated header. Here is a detailed seperate tutorial by joshMorony. Which should get you back on track. 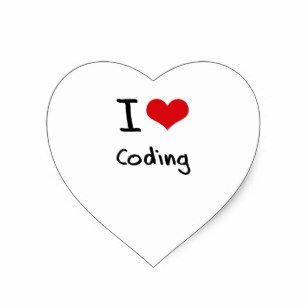 Comments are essential in the code to facilitate the best interpretation of what you are developing. We suggest you put more comments in your code. Put more images in your tutorial, so it breaks your extensive text a bit and shows what you are developing. Thank you for your work in making this contribution. We are waiting for more tutorials.